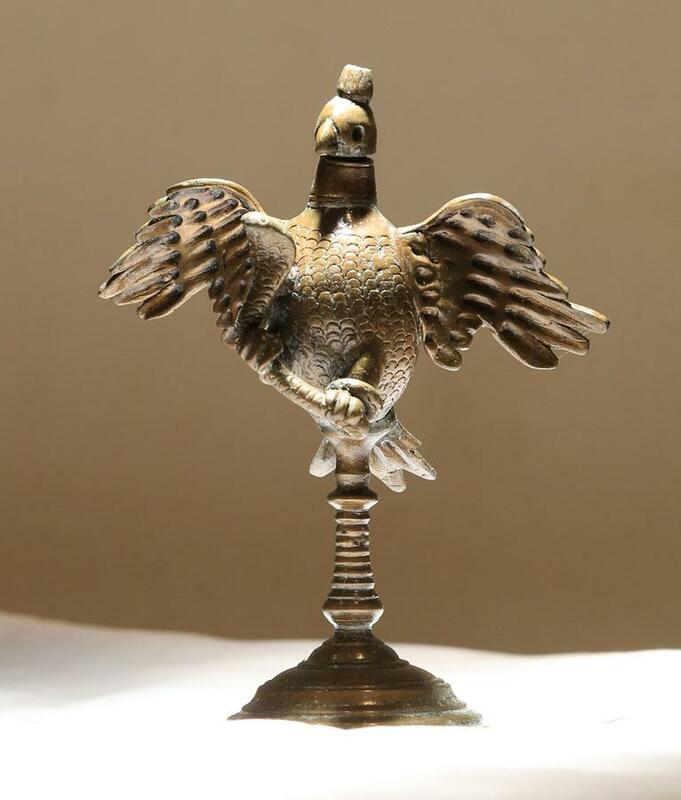 Garuda Lamp is an ancient piece of exquisiteness. Mythology pictures Garuda, the legendary bird as the mount of Lord Vishnu. The lamp has a lotus pedestal and the Garuda is seen standing on the top in anjali pose. It is made of bronze and is designed for 6 wicks.